Each year, an estimated 3,000 Canadians die due to radon exposure. According to Health Canada and the National Research Council, radon is a radioactive gas that occurs naturally inside homes and buildings throughout Canada. In approximately 7 percent of these structures, the radon concentration is above the level considered safe. You might be wondering how radon gets inside our homes and workplaces. Radon is produced when uranium, a heavy metal present in most soils and rock formations, begins to break down. So long as radon can be dissipated into the outdoor air, it is of minimal risk. But when radon gets trapped inside homes or workplaces, which it does by leveraging differing air pressure levels to sneak inside structures, it can quickly build up to toxic levels. In this post, find out what you need to do to protect your family and staff from toxic radon levels. You probably already know that smoking is the leading cause of lung cancer and death for smokers worldwide. But guess what the leading cause of lung cancer and death is for non-smokers worldwide? 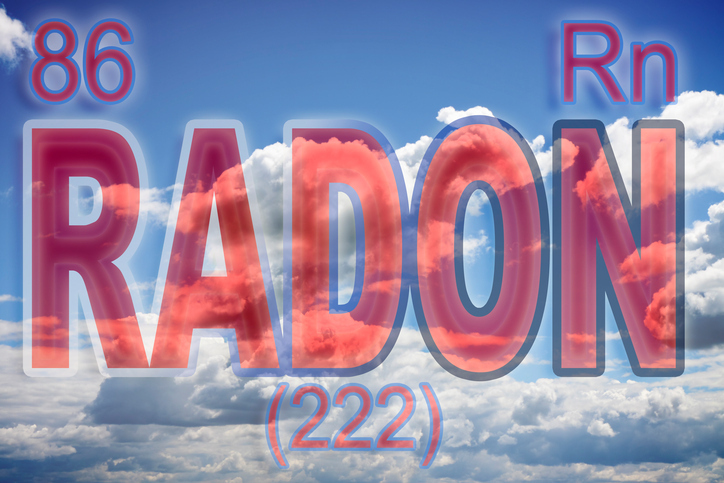 Yup – it is radon. This makes radon the second most common cause of lung cancer in the world and the leading cause of lung cancer among Canadians who do not smoke. Healthy Canadians estimates that a Canadian non-smoker who is exposed to high radon levels has a 1 in 20 chance of developing lung cancer. For smokers, that risk increases to a 1 in 3 chance. Even worse, of the 3,000 or so folks who succumb to radon-induced lung cancer each year, most of them have never once smoked a cigarette. Radon causes more lung cancer cases annually than even secondhand smoke, and yet when was the last time you heard anyone talk about it? Probably never…until now. Radon exposure has now been implicated in up to 16 percent of lung cancer cases in Canada annually. When radon is released from soils and rocks, it quickly begins to decay, emitting radioactive airborne particulate matter. As you inhale this radon-laden air, those small particles injure the fragile cells lining the inside of your lungs. When sufficient quantities of those cells have become compromised, cancer is a common result. The hands-down best way to detect radon levels inside your home or workplace is to schedule an IAQ test to precisely calculate the levels of radon inside a structure. The test results will also alert you to the presence of other potent and possibly lethal toxins such as carbon monoxide, formaldehyde, asbestos, mould and mildew, pesticides, VOCs (volatile organic compounds), and particulate matter. The test, which takes 72 hours to complete, is simple, unobtrusive, and virtually silent. You can have the test monitor running while you carry out your daily activities—you may not even remember it’s there. A wait period of at least three months. However, if you suspect you may have high radon levels inside your structure, three months is far too long to wait when you can get professional test results back in three days. So let’s say you have had your home or workplace tested for radon and results came back indicating your levels are higher than are considered safe. Eek! Now what? Weather stripping, caulks, and sealants can block radon from entering through some of these passages. Ultimately, to be sure you are fully addressing the danger of radon exposure, you will likely need to bring in a radon mitigation expert to reroute radon emissions so they do not enter your structure. This can be done through strategic placement of a radon vent pipe to ensure radon particles never have the opportunity to enter your indoor air supply at home or at work. Radon is a significant issue in certain areas throughout Canada. You can view a map that shows areas nationwide and per province where there are known higher concentrations of radon. Radon levels will be dependent on the uranium content of locally occurring rock formations and soils. Prairie areas tend to have especially high concentrations of uranium due to past glacial deposits from runoff. As well, areas that stay colder annually for longer can show higher radon buildup inside structures due to a lack of ventilation. While you may not be able to control the type of rock and soil that surrounds your home or workplace, you can exert control over the degree of ventilation inside your home and the amount of particulate matter and toxins that can inhabit your indoor air supply. Have your indoor air ducts professionally cleaned at least once per year. Install a heat recovery ventilator, which has a proven positive impact on radon levels. Change out your air filters for HEPA-rated filters and be sure to clean them regularly. If you’re concerned about radon, contact us. We can check your indoor area for radon and advise you on your options to remediate. You can reach us at 905-544-2470 or online.